I have an issue with my drawer sizes (height). I plan to use blum movento hardware, with prefabricated wooden drawers. 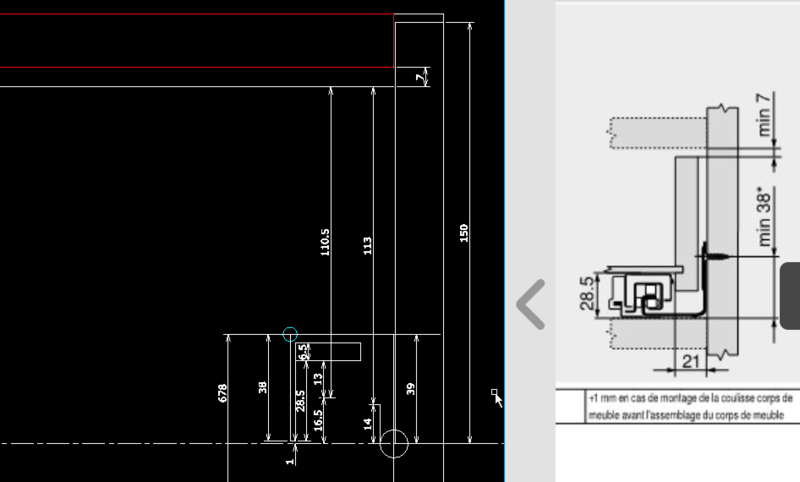 Polyboard is telling me that the top drawer can be 113mm high, but according to the drilling for the hardware in the side, the height would be 2.5mm to high.